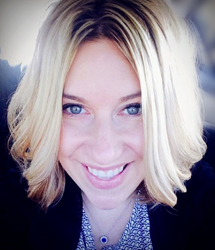 Nicole’s territory includes MA, NH, ME, VT, RI and CT.
Nicole is a licensed esthetician with a strong background in the professional skin care industry and over eight years of sales experience. New England region. Nicole is a licensed esthetician with a strong background in the professional skin care industry and over eight years of sales experience. Prior to joining Phytomer, she held the title of Advanced Skin Care Manager in a retail setting and has also been a New England Territory Manager for various professional skin care brands. As a Phytomer Account Manager, Nicole’s role is to provide excellent customer service, support, training and knowledge to spa partners for the four skin care brands that make up the The Phytomer Group. Nicole oversees accounts in Massachusetts, New Hampshire, Maine, Vermont, Rhode Island and Connecticut. She is looking forward to expanding business and cultivating relationships with each and every spa partner in her territory. “My goal is to get my existing accounts excited about event opportunities and promotional offers to support business growth,” says Nicole. “This will include keeping accounts up to date on product launches and helping them streamline their efforts with Phytomer’s innovative marketing strategy,” she continues. Nicole has met with multiple spa partners in her territory and would be very glad to connect with both existing accounts and new contacts. She can be reached by email to ntiberii(at)phytomerusa(dot)com.